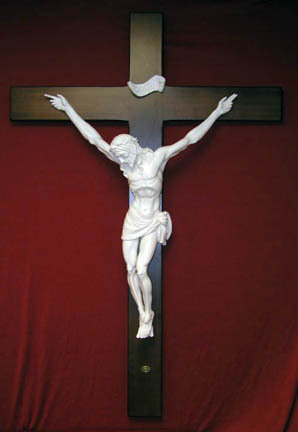 Crucifix by Ado Santini, 46"
Crucifix by Ado Santini. Corpus is in all white alabaster on a wood cross, 46". Made in Italy. SPECIAL ORDER ITEM, 2-3 MONTH DELIVERY.